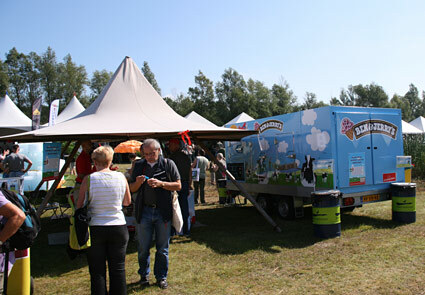 On Friday night we set up our tent at camping ‘t Oppertje, nearby the festival grounds. 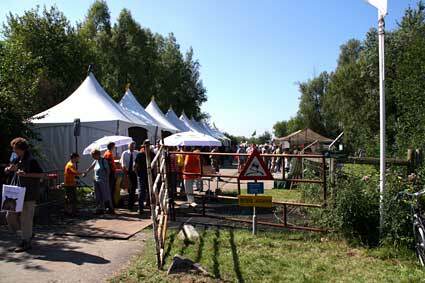 The next morning we drove to the Vogelfestival and were among the first to get in at 9:30am. The festival is at a beautiful location for birdwatchers, right near the area’s official visitor center where several trails start. Some of the stands were located along the shore of a lake, so some stands that sold binoculars and spotting scopes had made viewing platforms to test out the models that were on display. Upon entering the grounds an announcement was made that the famed White-tailed Eagle (“Zeearend”) of Oostvaarderplassen (first breeding pair in Holland in a century) could be seen from the Swarovski stand. We made our way to the Swarovski stand and had a great view of the White-tailed Eagle sitting on a small island in the middle of the lake. 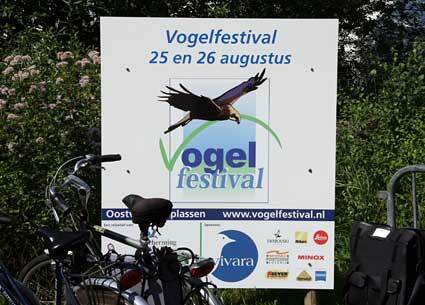 He stayed there all morning, which was a real treat for the many visitors to the Vogelfestival! 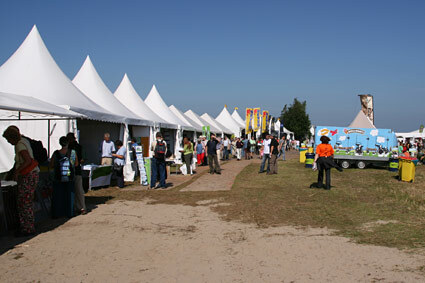 Besides the dozens of stands of binocular companies, animal organisations and travel companies, there were also many organized activities. There were bus, bike and walk excursions, as well as demonstrations, readings by experts and many other activities. We got tickets for the 1:30pm bus tour. 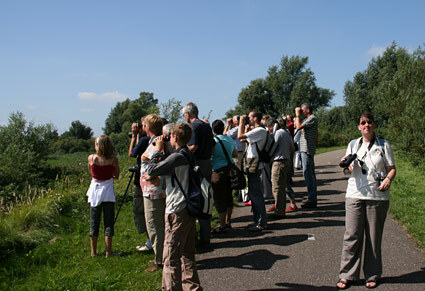 The two-hour tour brought us to several good birding locations in the area, including Lepelaarsplassen en Jan van den Boschpad. The guide on this tour had heard from another guide that two Kingfishers had been spotted near Lepelaarsplassen, but when we arrived there they had already left. Later that day Amy and I went back there and actually saw two Kingfishers at close proximity. 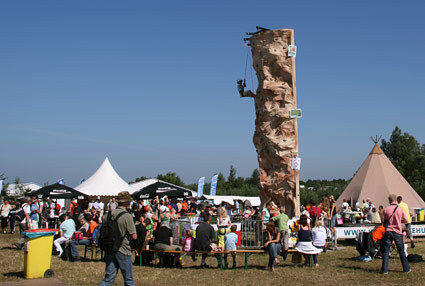 This entry was posted on Sunday, August 26th, 2007 at 9:48 pm CET and is filed under Birds, Events, Life in Holland, Nature	with tags birding, fair, flevoland, netherlands, vogelbescherming. You can follow any responses to this entry through the RSS 2.0 feed. You can leave a response, or trackback from your own site. Wolfstad.com » Ice Cream + Boat = Ice Cream Boat!